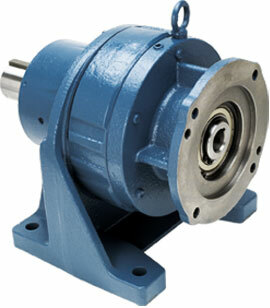 The Circulute 3000 (ER) series is the ideal choice when requiring a robust gearbox in a compact package. The cycloidal design provides a large amount of contact surface area between the wheel and the pins that allows it to handle unstable loads well and minimize wear. This is our standard cycloidal series providing a variety of frame sizes (A – F) that can handle a maximum input of 60 HP, and also the possibility to implement multiple reductions when required. NEMA C-face with quill style input, Input shaft mount, Structural mounts such as a “Top Mount” and “Shovel Base Mount”, etc. Base Mount, Flange Mount, Ring Mount, and Horizontal or vertical shaft. The Circulute 3000 can be kit build at our Itasca, IL facility or assembled by some regional certified build centers for fast delivery. From our assembly locations in North America, we can quickly provide most of the common frame sizes and ratios utilized throughout industry today. Contact NIDEC-SHIMPO AMERICA for immediate support and information about pricing and availability.